History: Joseph Brodmann was a piano maker in the early 1800’s employing the young apprentice Ignaz Bösendorfer. Bösendorfer took over Brodmann’s production in 1828. But in 2004, two former Bösendorfer executives re-established the Brodmann name and formed the Joseph Brodmann Group in Vienna. The Professional Edition (models marked PE) are designed in Vienna and built in China with many imported parts. 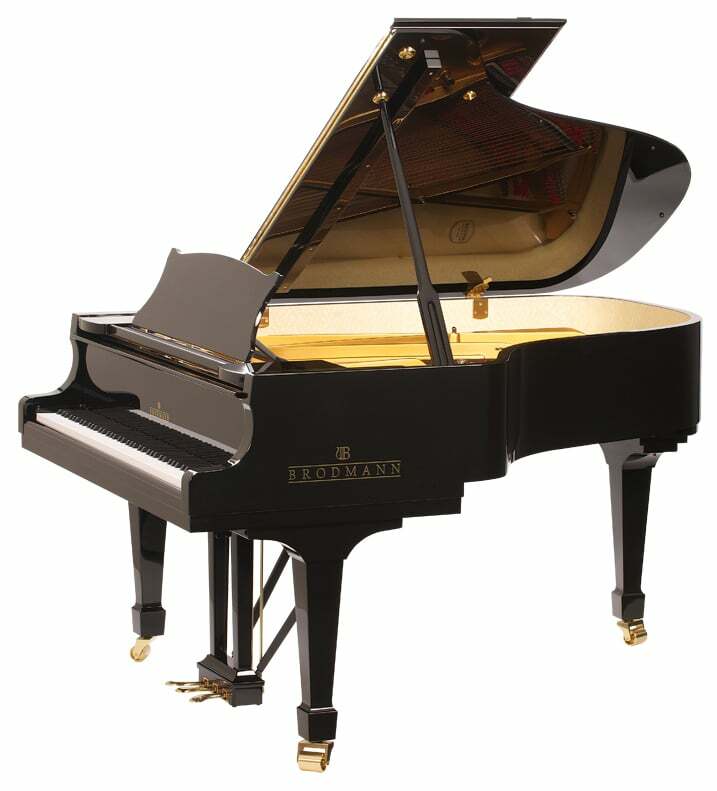 The Conservatory Edition (CE) pianos are built in China with local materials with Japanese hammers while the Artist Series (AS) is constructed in China then shipped to Germany for some installations and finishing.